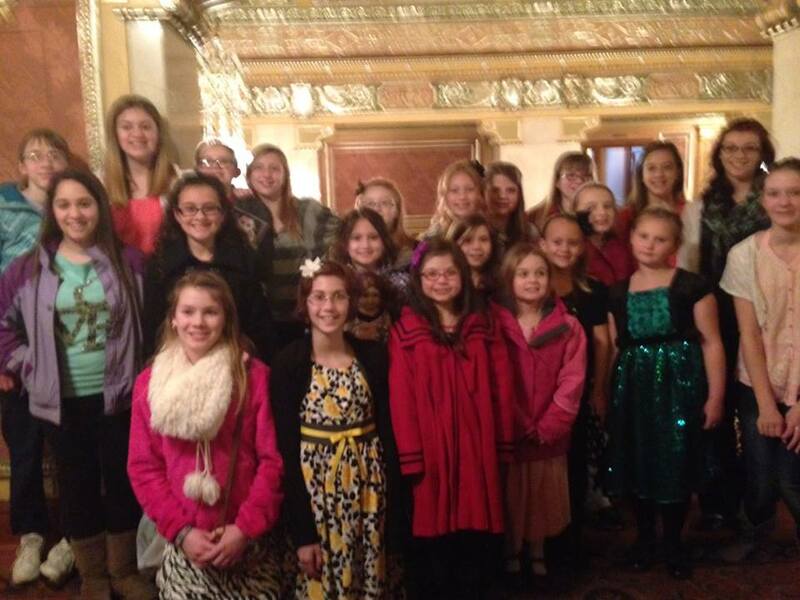 50 students and parents of Studio B Dance Academy departed Bradford on Sunday, February 16th at 8 AM to travel down to the beautiful Benedum Center in downtown Pittsburgh, PA to observe the final Swan Lake performance presented by the Pittsburgh Ballet Theatre. Upon arrival, we were given a VIP backstage tour that included walking across the 3rd largest stage in the country as company members were participating in their usual warm-up class. For nearly 20 minutes, we sat in the audience astounded by the height of developees and the number of pirouettes performed by the company during their class. After which we were able to chat with the Artistic Director, Terrence Orr about the upcoming performance. At the end of the first act, I looked around at my students and saw wide eyes and smiles. For many of them, this was their first live ballet. I saw the inspiration and the passion behind their eyes that I knew would last for weeks. The trip was a success!